Videos for Molly can be seen at the shelter Facebook page.Molly has a sponsor who subsidized her fee to $25. Molly has experienced severe trauma in her young life and a peaceful home is being sought to completely bring her back from the edge. In early 2017 Molly was seen searching for food and successfully eluding contact with people. She was visibly pregnant but too terrified to trust approaching people. It took a patience and a trap to capture the young girl and bring her indoors where her kind rescuers gave her a safe enclosure to birth and raise her puppies. All babies were placed in safe homes and Molly was brought to the shelter in April 2017. Initially Molly was so terrified she had to be carried from her kennel and would flatten to the ground as caretakers attempted to give her exercise and companionship. Her terror of men was overwhelming as she sought to hide in the corner of her kennel or escape to the outer portion during cleaning. Molly arrived in April 2017. For most of that time she has been on an evaluation hold as efforts were put into restoring the spirit of the gentle girl who has never display the slightest sign of aggression. Molly may do best in a female only household though others will be considered. A secure fenced yard is required. She is fine with dogs, cats and may do ok with calm gentle children. Molly is 2 years old and weighs 42 pounds. She is spayed, fully vaccinated and recently tested negative for heart worms. Appointment is needed to visit with Molly as she is sometimes offsite for 'in-home' time to assess her house skills and to give her time away from the shelter environment. Application can be submitted online at: https://www.charlessmithgallhumanesociety.org/page/dog-adoption-application/ or at the shelter. More photos and two videos are in Comments. Please address any questions to the office at 706-865-4135. The approval process can take 1 to 3 days and for anyone traveling a distance to meet a dog/cat, it is suggested that the process be done first so that the applicant will know if they are approved to adopt. If you can provide a safe indoor home, submit an application online or at the shelter after a get acquainted visit. 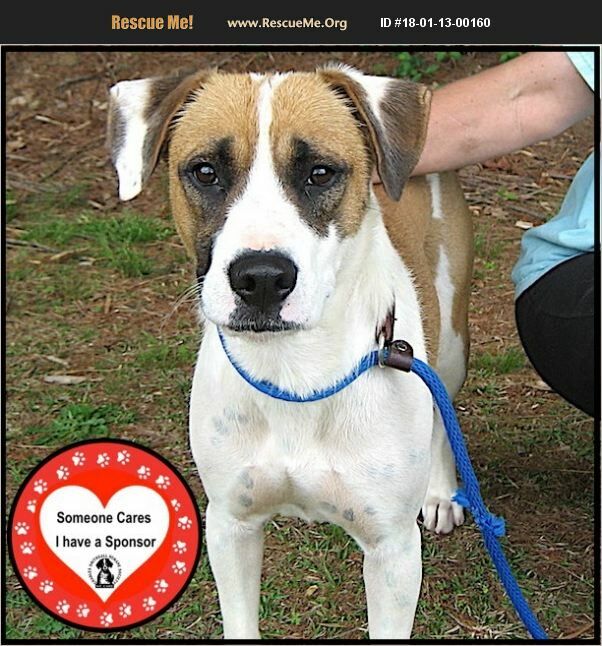 Application can be submitted online at: https://www.charlessmithgallhumanesociety.org/page/dog-adoption-application . The online form may generate a ' Fatal Error' message after submission which is to be ignored. It is a system glitch and the submission HAS gone through. Adopters must complete an approval process which involves a reference check with current/recent vet, a call to landlord if renting and a brief home visit if located in the immediate area. Those who are not in a nearby community will have a virtual home visit. Out of state adoption is allowed. Adopters MUST come to the shelter to transport their new family member home. Charles Smithgall Humane Society (CSHS) is a No kill shelter. Animals remain in care for however much time is necessary to find a safe and appropriate home. Resident animals are primarily owner relinquished and also accepted from local Animal Control facilities. The facility usually is operating at capacity with a list of animals waiting for space to open. Adoption hours are Tues-Sat 10-4 and Sun 1-4. Closed Mondays. Location: 4823 Helen Hwy. 75N, Sautee, GA 30571, Phone: 706-865-4135 Email: smithgallhumanesociety@windstream.net Facebook: https://www.facebook.com/smithgallhumanesociety/ The shelter is located in Sautee about 3 miles south of the alpine town of Helen in northeast GA.